Father Donald F. Lund, CSV, died Saturday, February 17 at 5:30 a.m. He was 86. He was born in Eau Claire, Wisconsin on April 1, 1920, the son of Archie and Anne Lund. Fr. Lund was preceded in death by his parents and his brother, Wallace. His sister Jeanne Walter survives him. Fr. 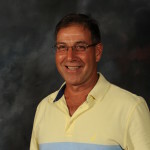 Lund graduated from St. Patrick High School in Eau Claire and attended Eau Claire State Teachers College. He earned a B.A. in History from St. Ambrose College in Davenport, lA. He pursued graduate studies at the Graduate Theological Union in Berkeley, CA. He pronounced his first vows as a Viatorian on August 15, 1941. He studied at St. Thomas Seminary in Denver, CO, and was ordained a priest on June 8, 1946 in Chicago. Fr. 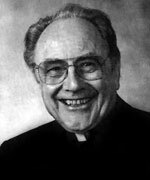 Lund served as Teacher and Parochial Assistant at St. Patrick High School in Kankakee, IL. He taught at St. Philip High School in Chicago, Spalding Institute in Peoria, IL, and Alleman High School, Rock Island, IL. He was Pastor at Our Lady of Wisdom in Reno, NV, and St. Anne Church in St. Anne, IL. He was Associate Pastor at St. Joseph Church in Springfield, IL, St. Viator Church in Chicago, and Maternity B. V .M., in Bourbonnais, IL. Fr. Lund served as the Chairman of the Community wide self-study in 1966-67. In 1996, he retired in residence status at Maternity B.V.M. In 2002, he moved to the Viatorian Province Center in Arlington Heights, where he lived until 2004. He then moved to Merkle-Knipprath Nursing Home in Clifton, IL, where he resided until his death. Visitation was Thursday, February 22 at Maternity B.V.M. Church in Bourbonnais, from 4:30 -7:00 p.m. A wake service immediately followed. The funeral Mass was at Maternity B.V.M. 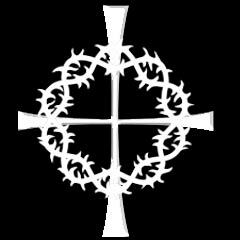 Church on Friday, February 23 at 11:00 a.m. Interment was at Maternity B.V.M. cemetery. Please remember our brother Fr. Don in your Masses and prayers.